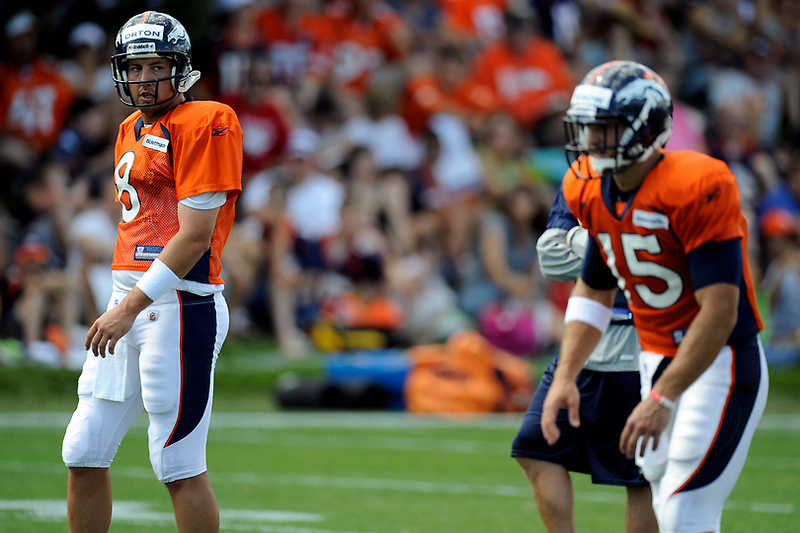 Today's training camp at Dove Valley was a hot one and the boys were in pads for 3 hours. Hope they stayed VERY hydrated as a good portion of the day was spent doing red zone drills which no doubt kept attention of the full crowd. LB DJ Williams sat out the practice for reasons unknown. He sat out the Saturday morning practice but participated in the Saturday evening walkthrough. Both 11-on-11 scrimmage sessions were spent entirely on red zone drills and while they had some big plays throughout practice, none drew quite the cheers from the crowd than none other than a Tim Tebow play. 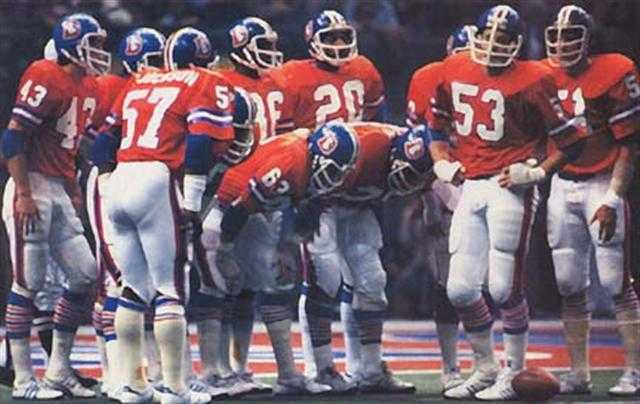 Tebow was scrambling to his left, heading towards out of bounds going backwards when he managed to throw it long to rookie Mark Dell and the rookie came up big catching the ball over a chunk of our defensive backs. Leave it to Tebow to get the crowd going. Rookie TE Julius Thomas also had a big day catching a big pass from Brady Quinn and holding on to it for the score after being leveled by LB Braxton Kelley. His other big catch, also a big TD score, came from Tebow in 7-on-7 drills. In a 1-on-1 drill, it was Brandon Lloyd vs. Champ Bailey (I'm sure this was a sight to see), but Lloyd was the one that came up with the catch, reaching over Bailey to grab the touchdown. Eric Decker looked mighty fine today as well, catching passes from fellow Minnesota teammate & QB, Adam Weber. During the second scrimmage session, Dumervil scooped up a fumble near the end zone and took off running with a full head of steam. RB Knowshon Moreno, who wasn’t in this drill, was unaware of this and wandered right into Dumervil’s path. Dumervil gave him a big stiff arm as he ran by that almost knocked Moreno on his backside. (I can just picture that one going down. HA Poor kid). The newly elected mayor of Denver visited the practice today, visiting with team officials and observing the practice from the sidelines. 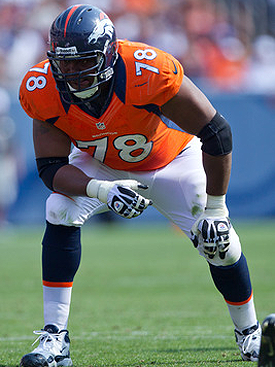 In bigger news, Denver managed to get DL Marcus Thomas back and signed him to a one-year contract today. I think we really needed that; I think this was a smart move to grab him back up considering our D needs all the help it can get. Broncos agreed to terms with TE Daniel Fells on a one-year contract. Denver's tight end picture is now crowded, which is bad news for Dan Gronkowski and possibly even reputed blocking specialist Richard Quinn. Fells is expected to get the first shot at the starting job, but he offers little blocking and even less after-the-catch burst. Broncos agreed to terms with TE Dante Rosario, formerly of the Panthers. Reunited with coach John Fox, Rosario is expected compete with Dan Gronkowski for the Broncos' "off-the-line" tight end job. It's an indication that rookies Virgil Green and Julius Thomas won't be rushed into the lineup early in the season. 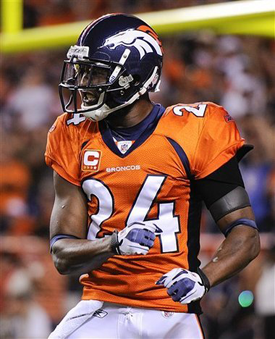 As expected, Denver restructured the contract of safety Brian Dawkins and finalized the deal for running back Willis McGahee. Both were procedural moves. The deal was completed Friday evening. Dawkins will be the Broncos’ starting strong safety this year. He will help bring along rookie Rahim Moore, the Broncos’ first of two second-round draft picks who is expected to start at free safety. Meanwhile, former Denver defensive tackle Ron Fields went to Miami. He is now with Mike Nolan on his third team, joining the Broncos and 49ers. 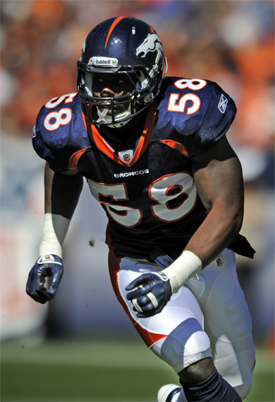 The Broncos are visiting with former New England defensive lineman Ty Warren and there is a chance he signs with them. Ty Warren, a Texas native and A&M alum, is leaving Denver without a contract to visit with the Texans. Defensive tackle Jamaal Anderson is coming for a visit, the No. 8 overall draft pick in 2007 but who was a disappointment for the Atlanta Falcons. Vonta Leach, in whom the Broncos had reportedly shown interest, has agreed to a 3-year deal worth a reported $11M with the Ravens. Tim Tebow had a nice 7-on-7 session throwing some long TD passes to two rookies, Julius Thomas & Mark Dell. Newly signed WR David Anderson & RB Willis McGahee just observed, they did not practice today. Eric Decker spent some time today taking punt returns... looks like he'll be our go-to guy for that this season like he was last year. Eddie Royal also joined on the return practice. NFL reports that the Dolphins are looking into QB Matt Moore since talks with Denver quarterback Kyle Orton are "dead". Doesn't look promising Orton will be traded, which I'm on the fence about. I'd much rather have an experienced QB with Tebow than someone like Quinn who just never seems promising, ever. Despite what Andrew Mason may see at TC practices. No offense to Andrew. But I get why Denver is holding on to Quinn... plain & simple no one wants him yet we're stuck paying him to warm the bench. And I just thought this was interesting since he is as former Bronco. 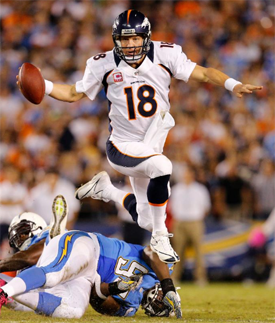 Honestly, I think it explains A LOT about him and why he acted the way he did while in Denver. Here's the story about Brandon Marshall & his confession that he was diagnosed with BPD (Borderline Personality Disorder) earlier this year. Check this out, Matt Willis, Ninja Warrior, haha (Willis just became one of my favourite players, Aussie). The training camp blog is up now princess. Sweet... I'll get this post updated right now then. Had a great pic of Brandon Lloyd chasing a young fan after practice but when I went to post this whole thing over again it said the post exceeded 1MB and so then I decided to delete that picture and now it works. Bah! So here's a slideshow of other pictures taken at today's practice on Denver Post. What it should have worked? Anyway did a quick clean up and made your tebow picture better. Also I thought I may have got the cheerleaders one passed you :P haha but yes Tebow is yummy haha. What I was trying to say is while I was putting up pictures for this post, I found one of Lloyd chasing a young fan around on the practice field but when I got it uploaded and then tried to post the entire thing, it wouldn't work. So out of the 3 pictures I had up I decided to delete the one of Lloyd, that's why there are only 2 pictures up here. When I tried to put this up with all 3 pics, I kept getting a little box saying that this entire post exceeded 1MB and it wouldn't let me do anything. So I deleted one of the pictures and then it worked. I don't get why it wouldn't let me have more than 2 pictures considering I've uploaded more before? ?